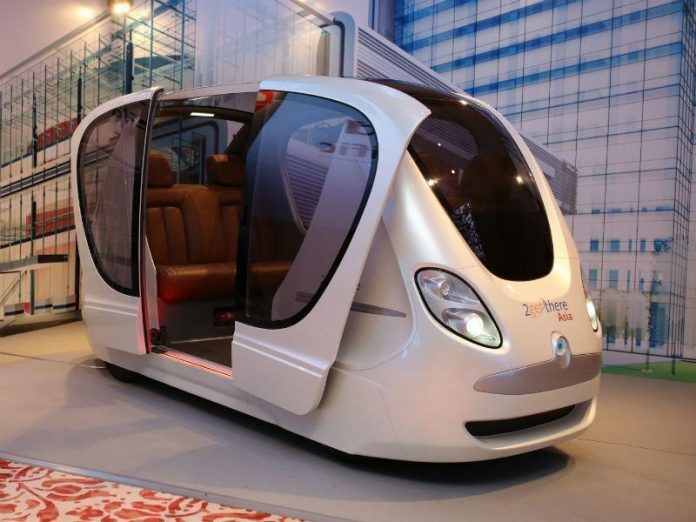 A self-automated driving enabled transport system may arrive in Singapore by the end of 2016. As per the feasibility study conducted by the SMRT looking for possibilities was revealed at an event in Singapore. 2getthere Asia a joint venture of Dutch-based automated vehicle company 2getthere and local transport operator SMRT briefed the possibilities of the driver less pods. The collaborated company would deal with marketing, installing, operating and maintenance of the vehicles in Singapore and around Asia-Pacific region. The Dutch Company had already developed automated vehicles way back in 2007 named it as Personal Rapid Transit (PRT) at cleantech business park of MasdarCity, Abudhabi in 2007. Later upgraded it to GRT Group Rapid Transit where the passengers number is increased to six & launched at Rotterdam’s Rivium Business Park. These automated vehicles would be environment friendly and safer. Coming up with individual sensors the driverless pods would avoid accidents. The company is aiming to release the third generation vehicles by the end of this year. Featuring with the length of 6 metres and traveling speed of 40 kmph the third generation GRT cars can possess up to 24 passengers at a time. The navigation of pods would be done by the assistance of the artificial land marks. The route on which the vehicle goes would be attached with a thumb sized magnets with a gap of 3-4 meters along. The vehicle can be operated even in adverse and challenging weather conditions. At the press release event, Colin Lim, the director of SMRT stated that these kind of cars cannot go on public roads but would create a semi-controlled environment where the speed & behaviour of the vehicles can be controlled resulting in the reduction of mishaps. These self-automated vehicles can be used within Parks, Universities, Hospitals or Companies to pick and drop passengers at the desired destinations. They even said that the company’s officials are in talking’s with some of the education campuses and offices in Singapore to implement the same. Once started these vehicles can carry up to 8,000 passengers every hour in a single direction.